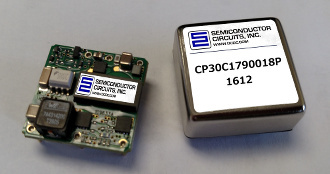 Atkinson, NH – January 28, 2016 – Semiconductor Circuits, Inc. introduces the new “Cool Power Technologies” ultra-wide input range 3.3V, 9A (30W) 1×1 DC-DC converter. This open frame or optional encapsulated module provides 30W of output power @ an output voltage 3.3 – the only true 30W 3.3V 1×1 4:1 input module available on the market today (5V, 12V, 15V and dual output versions are also available.) 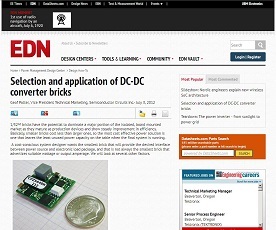 This module is ideal for industrial or distributed power architecture applications. The module is compliant with the standard 1×2 pinout and interface standards. It has an ultra wide input voltage range of 9 to 36 VDC (18 – 75 Vin versions available) & provides 2250 VDC input to output isolation in open frame configuration, 1600VDC in the encapsulated module. The CP30 4:1 input series is ROHS II Directive 2011/65/EU Compliant, meets EN 60950 basic insulation requirements and is UL94 V-0 flammability rated. The module complies with all of the typical industry requirements including no load operation, 2X nominal input voltage transient and pre-biased load startup. Other features include: fixed-frequency operation, auto-restart OVP, OCP & OTP protections, UVLO, remote sense and +/-10% output voltage trim. Remote ON/OFF is standard with positive or negative logic options available. Modules can also be ordered without enable pin, trim pin or without both. A product brief and technical datasheet is available at www.dcdc.com & sample quantities can be ordered directly from stock via the website. Please contact sales@dcdc.com or call 1-888-GET-DCDC (1-888-438-3232) toll free for OEM pricing and availability. Custom output voltages in the 4:1 input series are available upon request. We also welcome quick-turn modifications and custom configurations to meet our customer’s particular requirements. 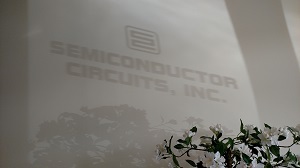 Semiconductor Circuits, Inc. has been designing and manufacturing AC/DC & DC-DC modules for 50 years (founded in 1966.) Module applications include: industrial, test, telecom/communications, networking, data-processing, railway, military, medical and aerospace. Please visit our website at www.dcdc.com for more information.